Is a Home Warranty Worthwhile? Comments Off on Is a Home Warranty Worthwhile? The addition of a home warranty in a home buying contract can be a very attractive thing. To buyers it means they’re protected if something happens to their appliances within the time frame of the warranty. For sellers, this investment might save thousands of dollars. However, tricky fine print and the age and functionality of the appliances in the home often leave people questioning if a home warranty is worth the price. For new houses or homes with new appliances, heating and air conditioning systems, or with other recent repairs, the probability of a catastrophic failure occurring is very low. In these cases if something does need repair or replacing, it’s usually covered by a manufacturer or installer’s warranty. If this is the case, a secondary home warranty might not be necessary. On the other hand, if there is less than a year on any particular warranty when you purchase the house, it might be a good investment. At the very lease it would be something to consider asking the seller to pay for as part of the purchase price. Should you decide to take the home warranty though, understand the process of making claims and what exactly the policy covers. 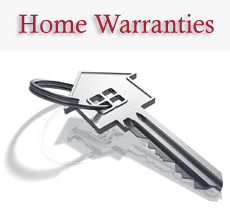 Like all insurance policies, there are stipulations as to how you can use a home warranty. Some policies will only cover repairs versus full replacements, and some policies will only pay for replacements that fall in a certain price point. Find out if your policy allows you to choose the repair service, or requires you to go through the warranty company. A home warranty can have its benefits for both buyer and seller, as long as you’ve done the research and know what to expect.